Gliricidia sepium is a medium-sized tree that grows 10 to 12 meters high. The bark is smooth, and its color can range from a whitish gray to deep red-brown. It has composite leaves that can be 30 cm long. Each leaf is composed of leaflets that are about 2 to 7 cm long and 1 to 3 cm wide. The flowers are located on the end of branches that have no leaves. These flowers have a bright pink to lilac color that is tinged with white. A pale yellow spot is usually at the flower's base. The tree's fruit is a pod about 10 to 15 cm long. It is green when unripe and becomes yellow-brown when it reaches maturity. The pod produces 4 to 10 round brown seeds. G. sepium trees are used for intercropping in part because they fix nitrogen in the soil and tolerate low soil fertility, so when they are interplanted with crops they can boost crop yields significantly, without the need of chemical fertilizers. Sepium tolerates being cut back to crop height, and can even be coppiced, year after year. When the trees are cut back, they enter a temporary dormant state during which their root systems do not compete for nutrients needed by the crops, so the crops can establish themselves.G. sepium is widely used in the form of poles for live fencing in India. 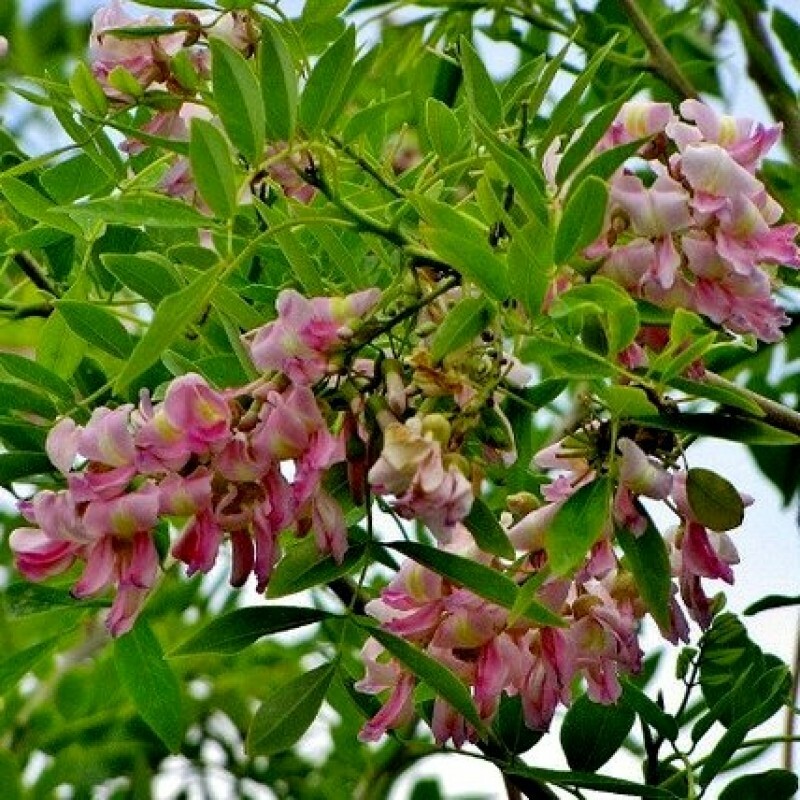 This is one of the best plants used for traditional live fencing to protect agriculture and fruit-bearing plantations from animals like goats, cow, and buffalo. These properties also enable G. Sepium to be used as green manure. sepium seems to be toxic to non-ruminants. The generic name Gliricidia means "mouse killer" in reference to the traditional use of its toxic seeds and bark as rodenticides.